Can Getting Enough Sleep Improve Your Life? | The Benefits Store, Inc.
Can a Getting Enough Sleep Improve Your Life? Home > California Health Insurance News > Health Tips > Can a Getting Enough Sleep Improve Your Life? 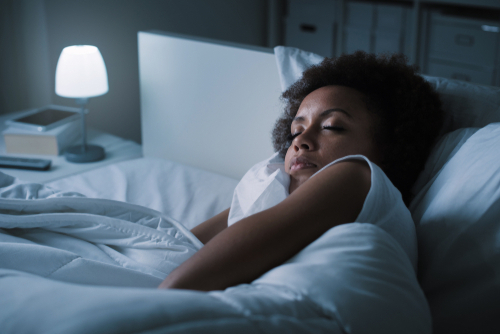 Good sleep reduces inflammation – People who sleep less than six hours every night are more likely to have higher levels of C-reactive protein. This protein is associated with a higher level of heart attack risk. Additionally, they are more likely to have higher blood levels of inflammatory proteins linked to diabetes, arthritis, stroke and heart disease. Good sleep reduces stress – Individuals who get a good night’s sleep are less likely to feel stressed out the next day. By reducing stress levels, a person will help to improve their blood pressure, which can help reduce the risk of heart disease. Good sleep improves memory – Studies have shown that people who manage to get a good night’s rest improve their ability to remember. This is because the brain consolidates and strengthens memories during sleep. Good sleep helps to maintain a healthy weight – Studies have shown that people are more likely to feel hungry when they get less sleep. This is because sleep and metabolism are both controlled by the same areas of the brain. When a person gets sleepy, there are certain hormones that go up as a result, which, in turn, also increases the appetite. Good sleep improves energy levels – Getting a good night’s rest allows for better energy the next day, making it easier for people to be productive. Energy levels also have a big impact on a person’s mood throughout the day. These are some of the health benefits of getting enough sleep at night. To ensure you are able to stay healthy, visit us at The Benefits Store to learn more about choosing the right health insurance plan for you and your family.